You’re at a Target on a Tuesday morning with your gaggle of small children. It’s 8 A.M. but somehow already feels like a million-o-clock. You sip on something hot and caffeinated as you weigh the relative merits between name brand diapers and generic. As you referee a dispute between your kids, you make a mental note to pick up milk before you leave. Later, as you’re cashing out, you think of the next items on the daily agenda: gymnastics, lunch, naps, e-mails, laundry, conference calls, school pick-up, soccer, dinner. The details surrounding each task whir through your brain. As you glide through the sliding doors, you pass another mom with kids around the same age as yours. You notice the to-do list in her hand and the exhausted yet determined look in her eyes. You both smile in passing and as you do, the thought passes your mind: I wish I had more mom friends. It’s not that you don’t have any friends—you do. You have the names of school moms in your phone and polite relationships with other moms you know. However, you don’t have that one best mom friend. You know who I mean. The one you always hear about in songs, movies, and Internet articles: the down-to-earth, ride or die mom friend who will answer your texts at 2 A.M. The one who knows how you take your coffee and who will bring you breakfast when you’ve been up all night with the kids. The one who knows and loves your kids like her own. Yes, that mom friend. She’s out there somewhere. You just need to find her. The first sign you need a mom friend: you notice them everywhere—other mom friends that is. Your observational bias is in high gear and it seems no matter where you look, you can’t escape the fact that literally every other mom seems to have a right-hand gal. You text your husband to dish on the latest celebrity gossip. This wouldn’t be a problem except he hasn’t the foggiest idea who you are talking about and also doesn’t care whether Kim and Kanye are expecting a fourth child. You need someone to attend that baby expo/mom’s night out/pre-natal yoga class with you. You might just be seriously considering scanning your Facebook friends to find out if Becky from high school is free this weekend. You find yourself going through the regular checkout line instead of the self-checkout at Target. You do this for some human interaction and worry the cashier will notice your enthusiasm and make an overhead announcement to notify security of a Stage Five Clinger. You watch Bravo television and say things like “I feel you, girl” out loud to no one in particular. You attend a Mommy-and-Me yoga class in the park where all the other moms seem to know each other. You are too intimidated to join the conversation, so you start discussing cloud formation patterns with your infant. You feel envious of all the new moms with the meal trains and the care packages. You aren’t worried about the material gift aspect of it all, but rather, the knowledge that they have people that close to them who care and understand what they are going through. You’re surrounded by people at work who just don’t get it. You wish you had another working mom who could relate—to the time crunch, to the biases working parents face, and to the struggle. 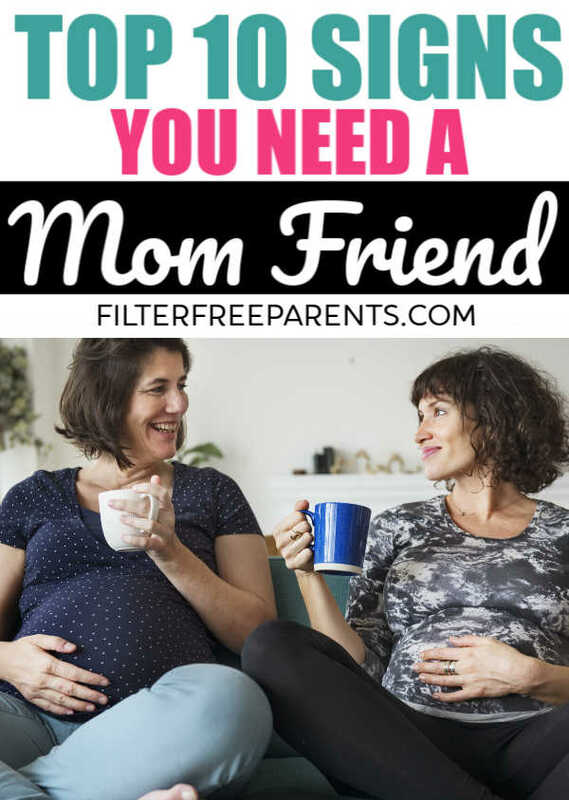 Someone who would listen to your motherhood-related doubts, fears, and goals without judgment and share her own war stories without feeling the need to add a sanitized filter. 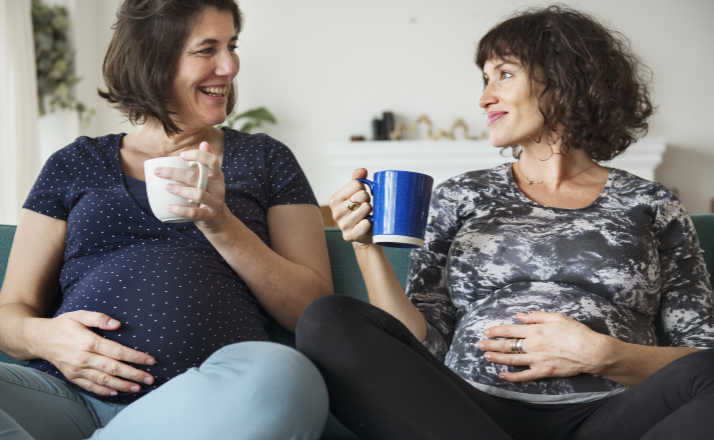 Because every person should know what it’s like to have a friend who just gets them and that that reality becomes even more important when you’re undertaking something like motherhood. Because every mom should have that friend who brings coffee, casseroles, and cheesecake completely unprompted. Because you should know what it’s like to have a more experienced mom friend sit across from you at lunch, look you directly in the eye, and tell you you’re doing a great job. So, if you haven’t found her yet, don’t lose heart—you will. However, until you do, don’t forget to soak up the relationships you do have, including the one with the person who already knows you better than anyone else in the world: yourself.